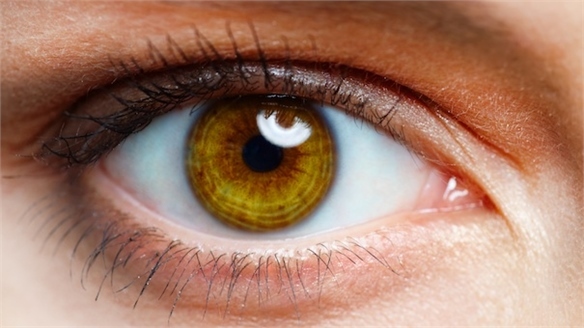 The first human tests of smart contact lenses that restore the eyes’ natural autofocus are set to begin this year. Developed by Swiss pharmaceutical giant Novartis and Verily, the Life Sciences research division of Alphabet (Google’s parent holding company), the lenses are designed to restore the vision of people with presbyopia, a common form of age-related long-sightedness. 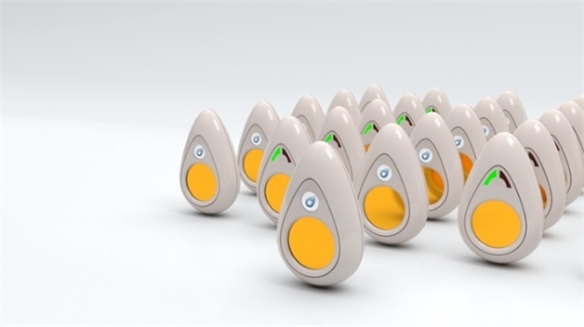 The soft contact lenses house a tiny chip, sensor and antenna that wirelessly communicate and charge via an external device and app. 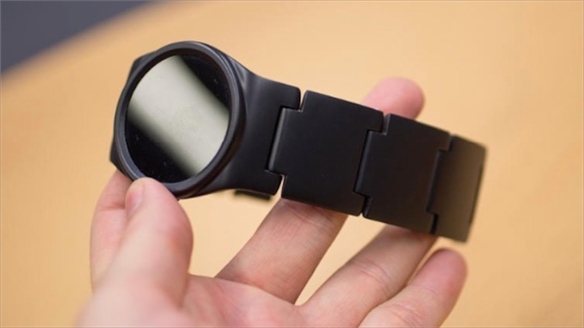 These will offer the wearer autofocus capabilities similar to those found in digital cameras, where visuals can be brought into tight focus, negating the need for continual, fixed prescriptions. 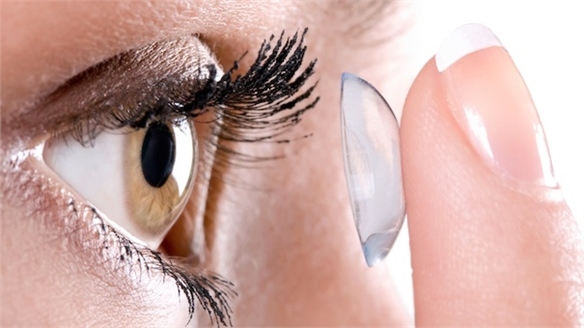 While focus has recently been on the widely publicised glucose-sensing contact lenses, the greater commercial opportunity now lies in corrective eyewear. Novartis CEO Joseph Jimenez says “the market for the auto-focusing lens could be worth anything between $10-50bn in the next 10 years”. Several patents have been filed for the smart lenses – one of which includes a photodetector that could enable them to be charged via light sources. 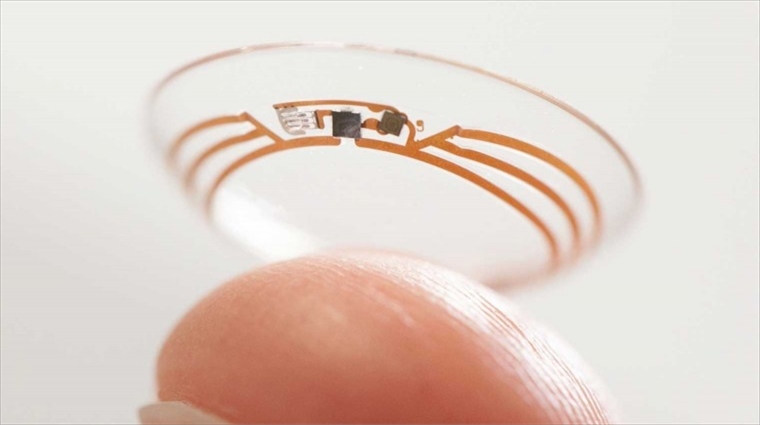 Google is one of many entities working on smart biometric lenses with various capabilities, such as treating glaucoma, or enabling wearers to ‘feel’ objects. 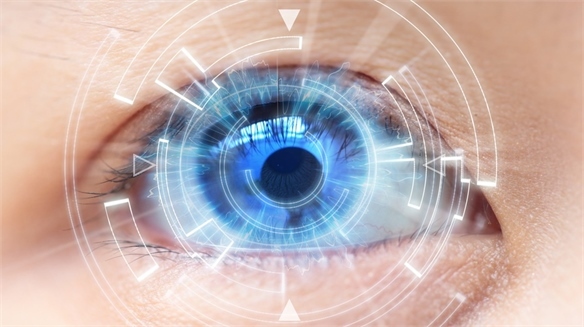 Canadian company Ocumetics is developing a Bionic Lens implant that could deliver clarity beyond 20/20 vision, while researchers at the Massachusetts Institute of Technology are working on a graphene-based thermal sensor that could enable night-vision contacts. Interest in integrated biometric tech continues to grow, enabling self-monitoring and medicating solutions, enhanced augmented visions of the world, and even the promise of super-human experiences. For more, see Wired Health, Seamless Tech: Smart Home & Away and Personalising Product. 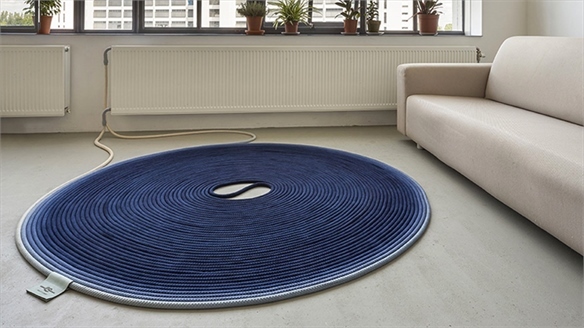 For the latest material innovations in this area, see Wondrous Response. 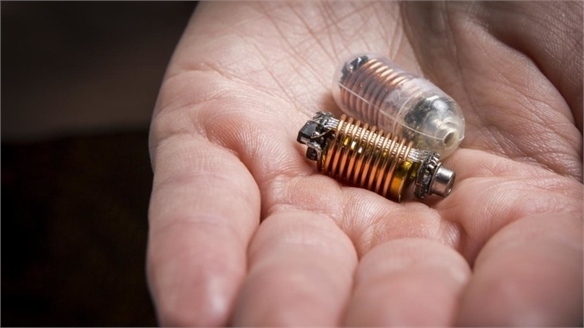 Ingestible Gut Health Sensors Ingestible Gut Health Sensors Researchers at RMIT University in Melbourne Australia have developed pill-sized, ingestible sensors that can detect gas activity in the stomach, sending real-time data to an app. Wired Health 2016 Wired Health 2016 Organ-mimicking microchips, embeddable devices and hyper-realistic virtual reality are propelling consumers into a new era of precision healthcare. Medical pioneers at Wired Health in London revealed how. Sony's Contact Lens Camera Sony's Contact Lens Camera Sony has filed a patent for a contact lens that captures photos and videos with the blink of an eye. Personalising Product Personalising Product A sophisticated approach to personalisation is emerging. Putting function first, solutions become modular, transformable, programmable, bio-responsive and even invisible as customisation embraces efficiency and maximises experience. 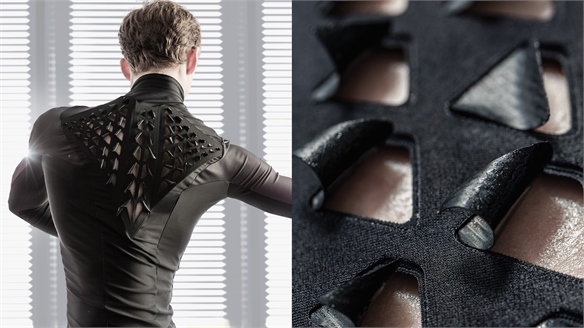 MIT’s Hydro-Reactive Fabric MIT’s Hydro-Reactive Fabric Researchers at MIT's Tangible Media Group in Massachusetts have used bacteria to develop a "bio-skin" fabric that peels back in response to sweat and humidity. Wondrous Response Wondrous Response Shape-shifting and self-transforming materials have been on our radar for a while, but the latest technologies inform a new level of intelligent materials that spontaneously respond to specific stimuli. 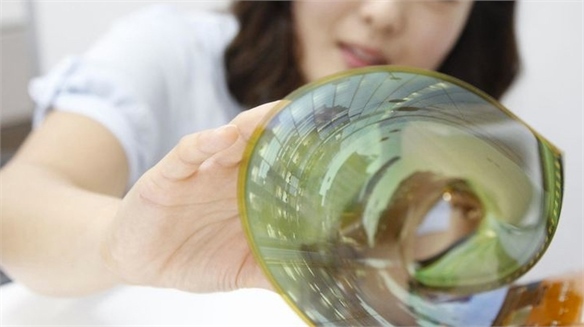 Other advances include intuitive and highly flexible materials that will alter our interaction with everyday technology. 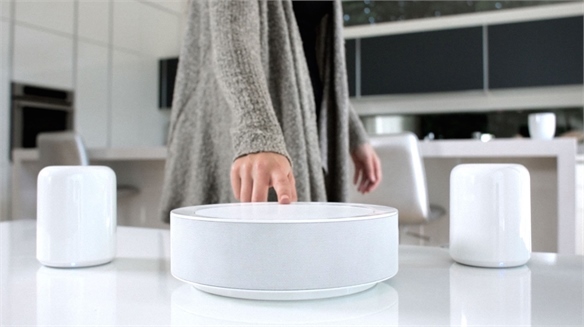 Seamless Tech: Home & Away Seamless Tech: Smart Home & Away As a sea of smart products floods the market, super-intelligent devices are rising to the top. Inherently adaptive, instructionless and dynamic, they are allowing consumers to maximise their enjoyment of life both in and away from the home. 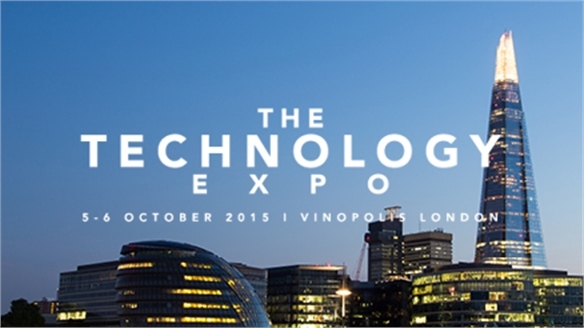 The Technology Expo 2015 The Technology Expo 2015 London’s Technology Expo saw start-ups and industry analysts explore the future of augmented reality and contextual technologies that predict what consumers want. 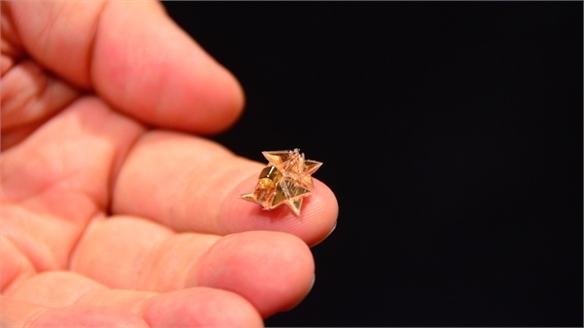 Dissolvable Self-Folding Robot Dissolvable Self-Folding Robot Scientists at the Massachusetts Institute of Technology (MIT) have created a miniature, self-folding robot that could one day operate inside the body. 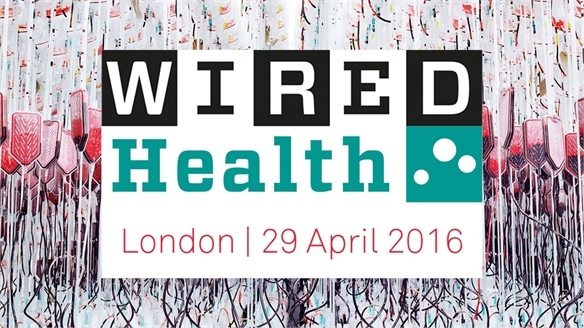 Wired Health 2015 Wired Health 2015 Real-time data analysis is powering the rise of "fun-sized" DNA sequencers, predictive wearables and responsive gaming, according to speakers at Wired Health, held in London. Heal: Doctor Delivery Heal: Doctor Delivery Heal is a new US-based app that promises to deliver a doctor to any user in under an hour, for a flat fee of $99 per visit. 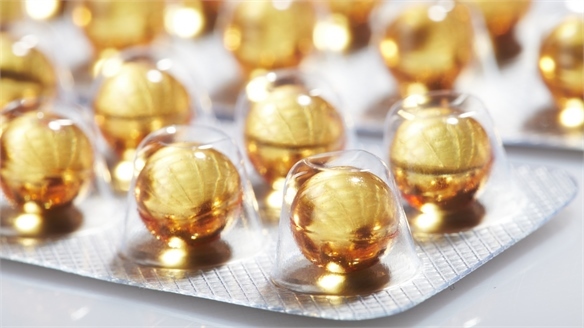 Product Defence: Enhancing Wellness Product Defence: Enhancing Wellness The promise of wellness has never been more appealing as new products and services allow consumers to take control and gain better awareness of their physical, mental and environmental health and wellbeing. Google's Cancer-Detecting Pill Google's Cancer-Detecting Pill US tech giant Google is developing a pill to help find evidence of cancer, impending heart attacks and other health problems far quicker than is currently possible. 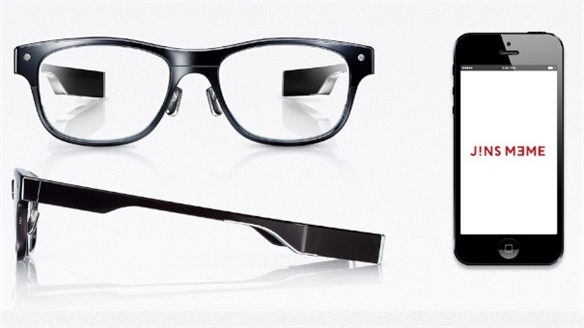 Smart Glasses Track Tiredness Smart Glasses Track Tiredness A new pair of smart glasses from Japanese eyewear firm Jins can track the gaze and eye movements of the wearer to determine how tired they are. Tactile Contact Lens for the Blind Tactile Contact Lens for the Blind Engineering researchers at Israel’s Bar-Ilan University have developed an electrode-fitted contact lens that enables the wearer to ‘feel’ objects. Smart Contact Lens Smart Contact Lens Researchers at Harvard Medical School, Massachusetts Institute of Technology and Boston Children’s Hospital have developed a contact lens capable of administering treatment for glaucoma – the world’s number one cause of blindness. Hybrid Health Hybrid Health A flurry of hybrid health apps and devices are splicing together features from social networks, mobile messaging and adaptive media to engage a new class of consumer. Technological Body Modification: In Pursuit of Singularity Tech Body Modification Researchers and amateur practitioners alike are fusing man and machine to speed up communication and boost intelligence. 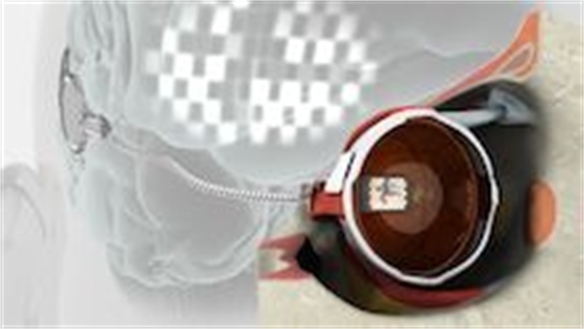 Stylus explores pioneering projects that uncover the latest in body-hacking technologies.